Douglas S. Massey is the Henry G. Bryant Professor of Sociology and Public Affairs at Princeton University’s Woodrow Wilson School of Public and International Affairs. Formerly he was the Dorothy Swaine Thomas Professor and Chair of Sociology at the University of Pennsylvania. 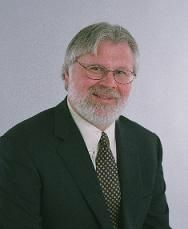 He is co-author of American Apartheid (Harvard University Press, 1993), which won the Distinguished Publication Award of the American Sociological Association, and more recently he co-authored The Source of the River, the first analysis of minority achievement in selective colleges and universities based on a representative, national sample. Massey has also published extensively on Mexican immigration, including the books Return to Aztlan (University of California Press, 1987) and Miracles on the Border (University of Arizona Press, 1995), which won a 1996 Southwest Book Award. His latest two books on immigration are Beyond Smoke and Mirrors (Russell Sage, 2002), which won the 2004 Otis Dudley Duncan Award for the best book in social demography, and Brokered Boundaries: Constructing Immigrant Identity in Anti-Immigrant Times (Russell Sage 2010). Massey has also served on the faculty of the University of Chicago where he directed its Latin American Studies Center and Population Research Center. He is also formerly a director of the University of Pennsylvania's Population Studies Center and chair of its Graduate Group in Demography. During 1979 and 1980 he undertook postdoctoral research at the University of California at Berkeley and Princeton University, where he received his Ph.D. in 1978. Massey is a member of the National Academy of Sciences and the American Academy of Arts and Sciences, and the American Philosophical Society. He is Past-President of the Population Association of America and the American Sociological Association and current President of the American Academy of Political and Social Science. Douglas Massey joined CReAM in April 2011.